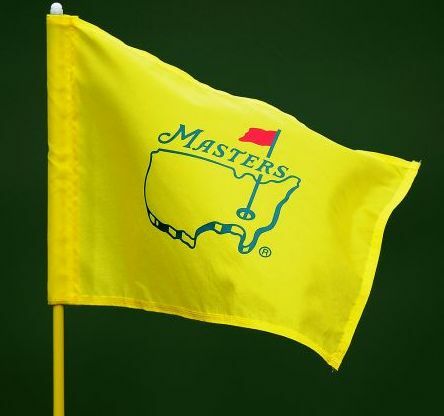 It's Masters week! The top players have been preparing their games for the first major of the season for a long time. The clear favorite is Rory McIlroy. His record has been outstanding in this young season. In the seven PGA Tour events that he has entered, he has finished in the top nine in every event. He has had legitimate chances to win six of these events. But he failed to close the deal when he had the opportunity. The win at the Players Championship was a special win, both for beating a great field on a demanding golf course but for finally securing a victory when he had let others slip out of his grasp. This should be his best opportunity to win a Green Jacket. This is especially a coveted prize for him and would be the completion of a career Grand Slam. He wants it badly and he is in peak form to be able to accomplish the task. Vegas have him at 7 to 1 to win, with Dustin Johnson next at 10 to 1, and then a jump to 14 to 1 for Justin Rose and Tiger Woods. The Augusta National Golf Course is a mix of being perfect for him and yet not perfect for him. His aggressive style with his long accurate drives makes the long par fours and par fives much easier for him. However, Augusta also requires strategy, finesse, and guile for success. You can't bulldoze this course for four straight days, because it will find a way to make you pay dearly for being too aggressive. As good as his win was at the Players Championship, I was not fully satisfied or convinced. He won, what more can you expect. Al Davis, former owner of the Oakland Raider had a classic statement, "Just win baby!" In other words, just get it done. Rory got it done. But for most of the last round he was preforming just like the past few tournaments and letting the tournament escape his grip. He was the best player, but he didn't take control. The leaders slipped and let him hang around. Finally he took a lead on 12, but gives in right back. He finally makes a putt on 15 and then preforms brilliantly on 16 through 18 for a one shot win. You would have thought he shot 67 or so to firmly clutch a victory, but he had a respectable two under par 70. He was just average for 14 holes and fortunately the leaders let him stay close until he seized the moment and birdied twice and became the "last man standing." I must be "old school", because I like the way Ben Hogan, Jack Nicklaus, and Tiger Woods, to name a few, maneuvered their way around the golf course. They were artisans, not one mode or single style players. Rory has his style and it is great most of the time, but that's the flaw that will make it difficult for him to win a Masters. His driver shot on the last hole at the Players Championship was courageous and superb. But was that the only shot he had? The Masters require many shots and especially delicate wedge and deft putting. I'm not sure he is up to the task for four days. At the top of my list to win this week is Dustin Johnson. Ball striking is there and wedge game is now up to par for a course like Augusta. Putting has been suspect of late, but he can win with average putting. Next and very close behind is Justin Rose. Has the mindset to handle the course conditions and pressure. Playing wise he is at his career peak physically and mentally. I see him winning at Augusta within the next three years. All eyes will again by on Tiger Woods. He could win, but I just don't think so this time. I see a strong showing, but he hasn't shown me enough this year to make me believe that this will be his week. Brooks Koepka has to be a consideration. The track record in majors is outstanding. He will add a Masters before his career is done. Another player that will have a Masters' Green Jacket is Bryson DeChambeau. I don't think he has quite figured out the geometry of Augusta yet to win this year, but engineer in him will figure it out in the near future. Finally on the first page of the favorites is Francesco Molinari. He is solid tee to green and now that he has one major, another one could happen very soon. Good guy Rickie Fowler will excite and disappoint again. Justin Thomas could make a run, but I don't see him ready to win either. Jordan Spieth is fighting something. I'm sure he will figure it out, but I don't think he will find it at Augusta. I really like my two long shot players. Xander Schauffele is underrated and bordering on greatness. Demeanor and temperament are his strong points. He could break through this week. A longer shot is Cameron Smith. He usually flies under the radar, but he shows up strong in big tournaments. He could be in the mix the last day and sneak in and grab the prize. It would be an upset, but not to the golfing fraternity. The Masters is something special. It's played on the same course with a limited field. The players are extra nervous to play this tournament as the first major of the year. Everything seems to be over-hyped and out of proportion. The place is dripping with tradition to the point of overkill. The hype has been building since that last major of last year. For many of the players it is a relief that this week is finally here. For us interested observers, we again will witness the beauty and subtle greatness of Augusta National and the raw emotions of the best players in the world fighting to win one of golf's greatest prizes. Rory may win and if so we will see greatness, but no matter who wins it will again be something special.